One thing I wish for my son to inherit is the love of reading books. We know that we can learn so many things from reading books, eBooks, or anything that would help us learn new things. 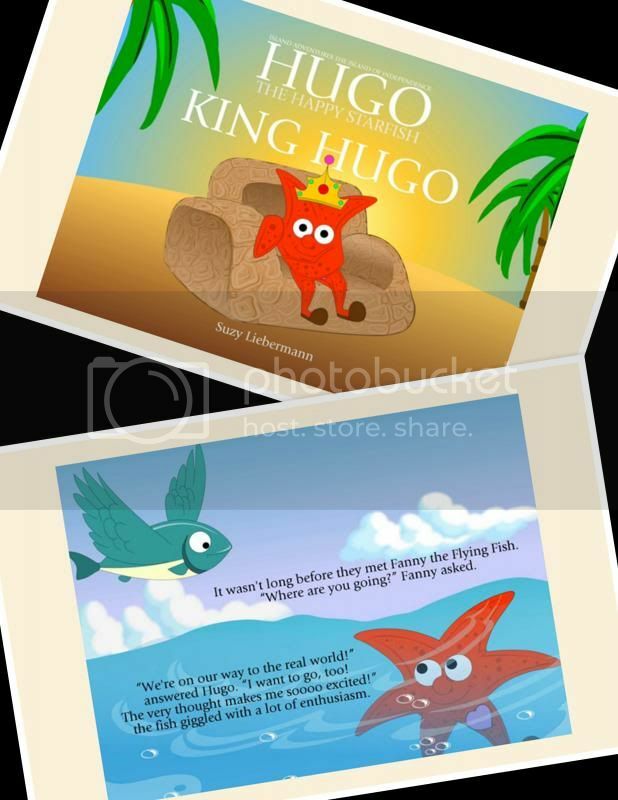 I am glad that I have the prospect to evaluate about the King Hugo – Hugo The happy starfish eBook for my 4 years old. While reading through the eBook with my son, he seems to be wondering about the story, a good way because it only shows that he is listening as I showed him the picture after I read the pages. This way, I enhance my son’s imagination, of thinking about the characters of the story as well as he will really learn about the story and aware of what is going on rather than relying to the images. It is a very interesting story; the story shows you can go anywhere with your independence, a value that you want for your kids to learn as well as being honest of the things you have done too. I do find the story great for kids to read. Glad it came with different series as to explore the starfish adventure. If you want to learn more about King Hugo – Hugo the happy starfish eBook, you may also visit the website @ http://www.mystarfish.org/. Alternatively, you may purchase an eBook copy at Amazon.com. The love for reading books is a treasure we can pass on to our children. This is so cute how may pages it is? DO they have audio book too. Lucky you , you got a free stuff from them this is a treasure. Yeah, reading habit starts at the young age. This book is interesting! i love these kind of children books that could really get the interest and attention of kids, glad to know Chaos seem to be absorbed with the books. Books that are visually appealing to kids always gets their attention. It's always a good start to introduce reading to your kid at an early age. Good books are always a wonderful source of learning for kids and for everyone alike. The Story of Hugo looks very interesting. I bet my little girl would be excited to be introduced to children's books like this one. I wish my daughter can still enjoy books such as this one you shared/reviewed. It looks interesting. A really good book to read to tots. I developed my love for reading without having anyone influencing me; not even my parents. I just loved reading! This book looks interesting. When I was a kid, I love reading books. It's good my niece love reading too. I'm pretty sure this book will be a hit to the kids. My nieces and nephews love to read books. I'm so looking forward for my kids to be the same. My nephew enjoys reading electronic books in my ipad (especially those with moving characters and sounds). This should be added in my list soon so he can have a better reading (or hearing) experiences with ebooks!